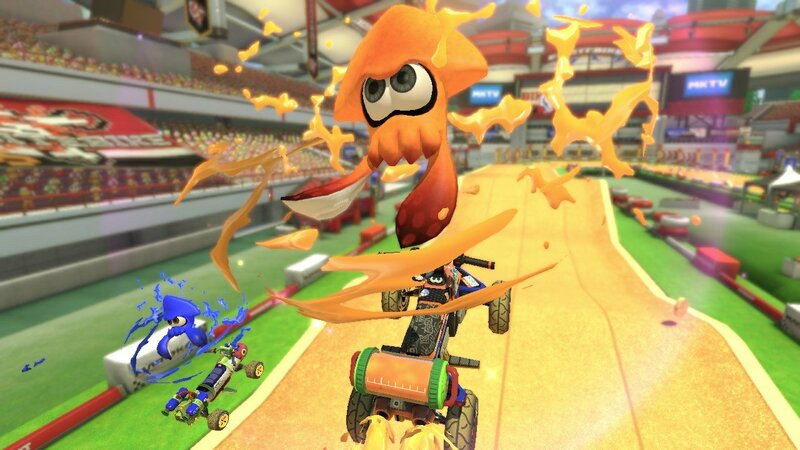 Mario Kart 8 released on the Wii U at the perfect time, hitting the Wii U back on May 30, 2014. It was a critical and commercial success, with some of the best, most mechanically impressive kart racing the franchise had ever seen before. It sold over eight million units over its lifespan and managed to end up becoming the best-selling Wii U title. It’s successful for a reason: It’s an excellent racer. 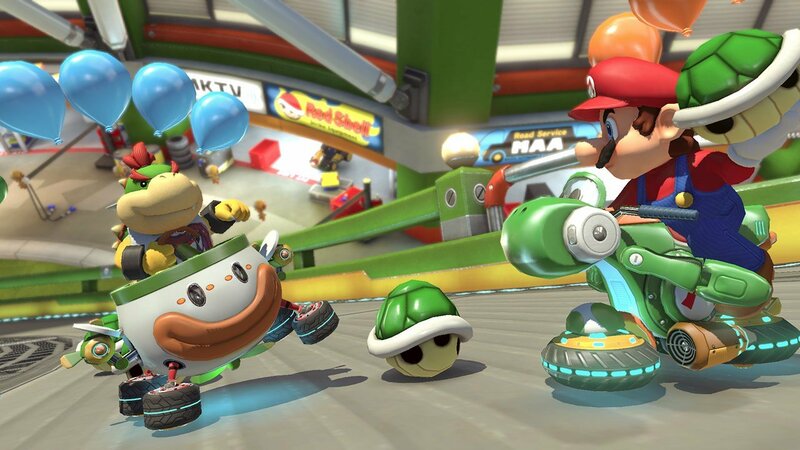 The Nintendo Switch’s Mario Kart 8 Deluxe is even better, since it features so many of the familiar faces from Mario we’ve loved over the years. It distilled the finer points of Mario Karting down to an exact science, into something much more substantial than just a racer. It’s a near-perfect example of what a kart racer should be, with more polish and content to bulk things up for Switch adopters. The Legend of Zelda: Breath of the Wild was a great game, but Mario Kart 8 Deluxe doesn’t falter in any real way. It’s the definitive version of Mario Kart, and the best racer you’ll find on the Switch. Even if you played through every single thing Mario Kart 8 on Wii U had to offer, there’s still plenty of reason to put down that cold, hard cash on this re-release, especially if you’re making room in your entertainment center for the Switch’s dock rather than the Wii U game pad. 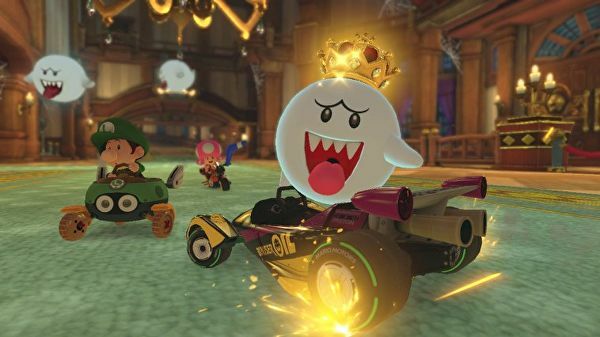 Mario Kart 8 Deluxe takes all of the content from the game originally released on Wii U, stirs in the DLC (both paid and free) and adds a brand new revamped Battle mode with eight new battle arenas which players can test their might across. There’s a whole host of additional alterations as well, but the fact that every single bit of DLC that came with the original release is worthy enough, because it means you get a combined total of 48 race courses to blaze up. There was previously a bit of a dearth when it came to the anti-gravity sections in Mario Kart 8, with the feature not present for all of the old tracks. Mario Kart 8 Deluxe has reworked several of the tracks to sprinkle in anti-gravity areas where your vehicles will go through some sick transformations to stay on the walls or ceilings or wherever the anti-gravity panels have been placed. You’ll be zooming through underwater areas, gorgeous locales like new and old Rainbow Road routes, and other breathtaking locales, each with their own set of gimmicks and roadblocks designed to keep you on your toes, whether you’re avoiding grazing cows or tunneling enemies trying to knock your vehicle over. 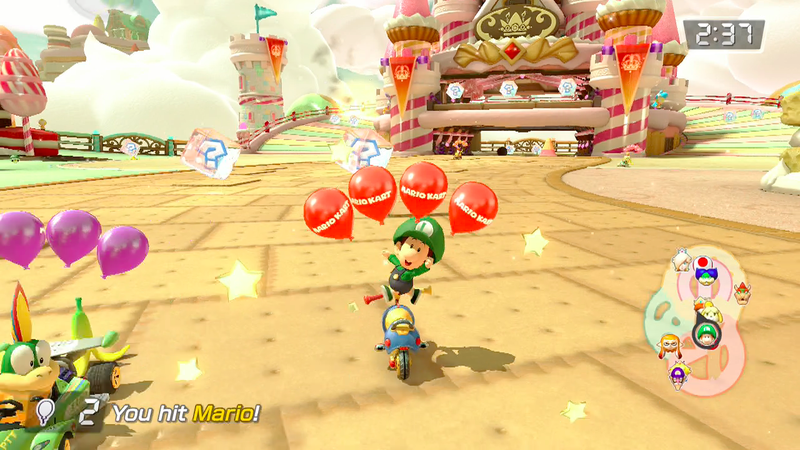 You’ll race everywhere from tracks based on F-Zero and Animal Crossing to subway stations and a land made of sweets. If you’ve been playing Mario Kart since the very beginning, you’ll see things you’re familiar with and new tracks you’ll want to jump in on. As far as new additions go, there is one small niggle that’s frustrating to play with if you find that you might want to turn off when you first start playing. “Smart Steering” is meant to help keep you from veering off the edge of a cliff or hitting the wall. Like the “auto-accelerate” feature, it can mess with seasoned players’ ability to, well, play. It can be very helpful, but it also may feel a little strange when the kart takes over. You might assume your controls are on the fritz, but that’s the new feature that can occasionally be a nuisance. It’s easily turned off if that’s not something you want to utilize. 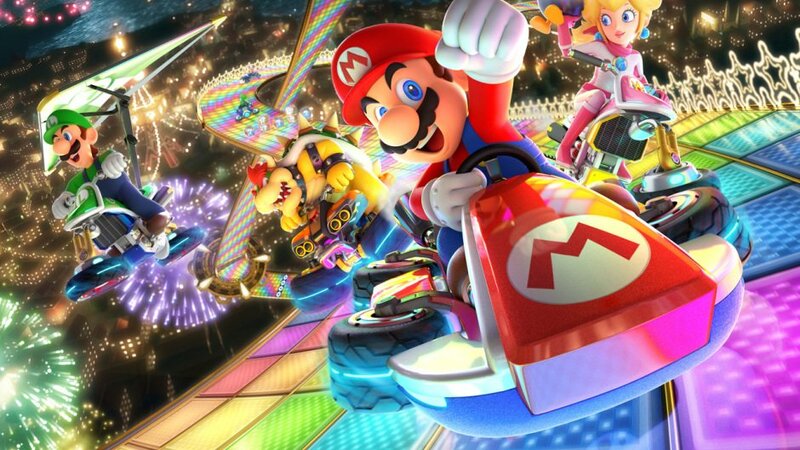 Battle Mode is the main focus of Mario Kart 8 Deluxe, and one of the main reasons those who already had the game in their arsenal for Wii U will likely sit up and pay attention. There are now five modes: Balloon Battle, Bob-omb Blast, Coin Runners, Renegade Roundup, and Shine Thief. Balloon Battle finds everyone looking to shoot off the balloons attached to each other’s karts, where Bob-omb Blast is the same mode with only Bob-omb items to pick up. Coin Runners has you pick up as many coins as possible, and Renegade Roundup slots a Piranha plant on each kart to catch players. The Shine Thief mode is one of the most fun and engaging activities by far, where you dive after a Shine Sprite and try to hold onto it as other players do their best to take it away from you. Your speed does go down a bit while you have the Shine Sprite, so you’ll have to be an even better driver than normal to come out on top. These modes take what could potentially become repetitive courses and inject fun into them with frenetic modes that require you to think outside the box a bit to emerge victorious. This is the kind of fun (great at parties) that Nintendo is known for, and it translates perfectly to the Switch. Mario Kart 8 Deluxe looks as great as it plays, and it translates fantastically to the Switch’s portable mode. Though I generally prefer to play Switch titles on my television because of how awkward it can feel to hold the Switch for long periods of time, I preferred taking this game from room to room and lounging with it after I cleared the 200cc and tested out the various vehicle options. The graphics are excellent, the soundtrack remains just as addictive as before, and there are plenty of modes to compete with others online. If you already purchased Mario Kart 8 on Wii U, there’s really no reason not to upgrade, unless you couldn’t snag a Nintendo Switch upon launch. For everyone else, however, jump right in — the water’s fine, and it’s looking a whole lot clearer this time around as a Switch title. Mario Kart 8 Deluxe is the definitive version of an already excellent racer.